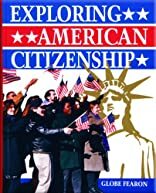 Exploring American Citizenship helps students understand the development of our government and the rights and laws of local, state, and federal governments. 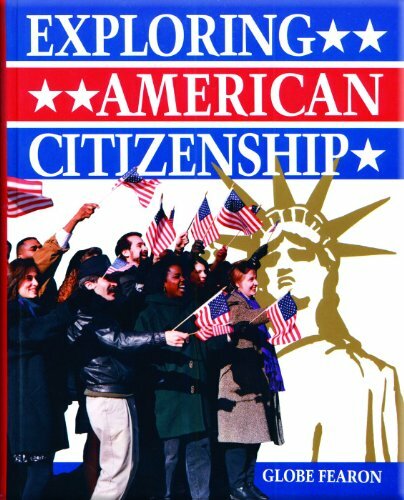 The Student Texts and Student Workbooks provide helpful charts, tables, and maps that allow students to look closely at all critical aspects of U.S. government, including citizenship, the justice system, foreign policy, and much more. The Teacher's Resource Book includes the Teacher's Manual with detailed lesson plans, the Student Workbook, chapter and unit tests, skill-building worksheets, writing process activity sheets, Answer Keys, and ESL worksheets on vocabulary and concepts in a convenient three-ring binder. Interest Level: 6-12AGS product numbers and pricing are not available at this time due to web site maintenance. Please check back shortly.